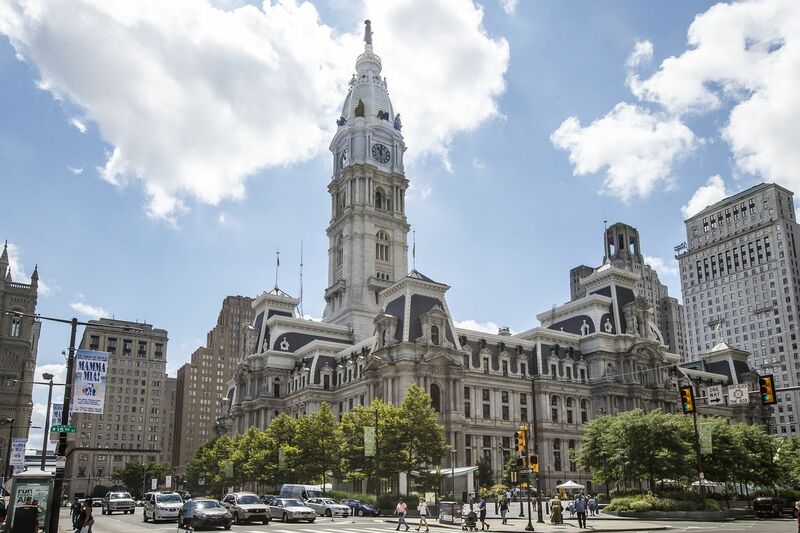 After Philadelphia issued new property assessments to all residential homeowners this year, the Board of Revision of Taxes received the largest number of appeals since 2014, when the city overhauled its assessment system. Months after the city issued new assessments to homeowners that will lead to sizable tax hikes for many, 7,700 property owners have filed appeals of their 2019 market values. The number of appeals filed to the city's Board of Revision of Taxes is the largest since 2014, when the city implemented a new system of valuing properties at their actual market value. 165,000 Philly homeowners may be paying too much in property taxes. Is the city assessing property fairly? An even larger number of homeowners — more than 20,000 — filed informal appeals this year, nearly quadrupling the number of such requests received last year. And more than half of those 20,000 owners had not received the result of the so-called first-level reviews by Oct. 1, the deadline for filing an official appeal to the Board of Revision of Taxes. The spike in review and appeal filings comes after the city released new market values for all of its 461,000 residential properties, increasing the median assessment of single-family homes by 10.5 percent. The updated values drew criticism from homeowners — many of whom received substantial increases and wondered how they would afford their tax bills — and City Council members, who rejected Mayor Kenney's proposal for a property tax increase. City Council also hired a Massachusetts-based firm to audit the Office of Property Assessment; that work is expected to be complete in the coming weeks. Unlike other counties in Pennsylvania, reassessments in Philadelphia do not need to be revenue-neutral. The city, therefore, can earn more revenue as property assessments increase. Assuming perfect tax collections, the city and School District would receive an additional $191 million in property levies as a result of the residential reassessment, as well as expiring 10-year tax abatements, new construction, and other factors, according to an Inquirer and Daily News analysis of property records. The first-level reviews, or informal appeals, had to be submitted by May 25 to the Office of Property Assessment, which could then review its market values before homeowners filed an official appeal to the Board of Revision of Taxes, a separate entity that holds hearings to judge whether market values are fair. As of Oct. 1, a city spokesperson said that about 9,400 of the 20,500 first-level reviews had been completed, and 2,336 property owners received revised assessments. More than 11,000 others were left in limbo. Bella Vista homeowner Warren Isom is among them. The market value of Isom's home on Fitzwater Street increased by more than 50 percent, which will result in a tax hike of more than $3,000. His next-door neighbor's home had the same 2018 assessment as Isom's but is now valued at nearly $180,000 less than his, despite being a largely identical property. Isom said Monday that he believes he has a strong case, but he has still not heard the results of his first-level review. He called the Office of Property Assessment in September and said a friendly staff member advised that he should just file an appeal before Oct. 1. "I wonder just how prepared the agencies are to deal with this level of what must be considerable backlog," he said. "And with a problem, that's pretty squirrelly." Backlogs and delays in the assessment appeal process are not new; the board still hasn't completed hearings on 2018 assessments that were filed in 2017. Carla Pagan, executive director of the Board of Revision of Taxes, said hearings are scheduled through December for about 600 remaining properties. While awaiting appeal results, owners must pay taxes on their property's new value. They can receive an account credit or request a refund if the board decreases the assessment. The Board of Revision of Taxes, which took weeks to count the total number of appeals it received by the Oct. 1 deadline, released the total count Monday (7,700). It received 6,600 appeals last year for 2018 assessments, when the city issued new values for commercial and industrial properties, Pagan said. In 2017, when owners were informed of new land values, more than 4,000 appeals were filed. In 2014, the first year of the city's Actual Value Initiative, under which properties are to be assessed at 100 percent of market value, there were 23,000 appeals. For taxpayers still awaiting first-level review results who have not yet filed appeals to the board, there is another window of opportunity to file after the Office of Property Assessment finishes its reviews and notifies the owners. But for Isom, of Bella Vista, there are still more questions than answers. "When are the reviews supposed to be done, what's the sequence?" he said. "What's my legal position?" Staff writer Michele Tranquilli contributed to this article.